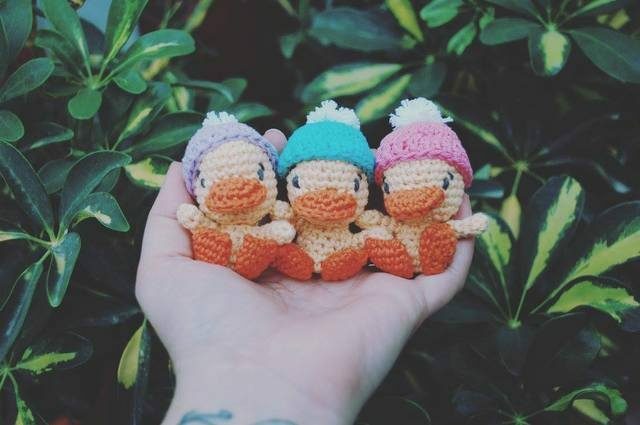 Estefanía “Stefy” Plun is a crocheter from Cordoba, Spain whose shop Iradumi has the most adorable amigurumi crochet dolls and animals. Learn more about her in this interview. I learned how to crochet a very short time ago, less than a year. I had always wanted to learn. My mother crochets and I asked her to teach me on more than one occasion. She tried but at the time I found it very complicated. I got too overwhelm,ed and never picked it up. Maybe she didn’t have the patience to explain it to me. Finally, I decided to learn on my own. I bought a large crochet hook, some wool and then I spent hours and hours on YouTube learning how to crochet. I repeated each video many, many times, allowing me to learn the skills by memory. What was the first item that you crocheted? 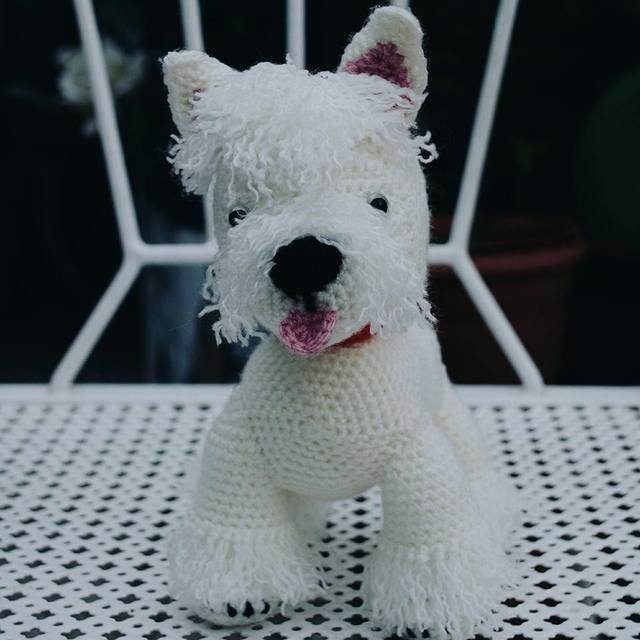 This was the first amigurumi I made. You can’t tell so much from a distance but this piece as so many mistakes in it. I still keep it on my shelf, though; I have a very special affection for it! Yes, many of the women in my family crochet: my grandmothers, my aunts, my mother … practically all of them! As my mother tells me, my great-grandmother was dedicated to the craft; she did not leave the hook at any time. We still have many sheets, tablecloths and towels that she created. My mother is still making things with crochet, especially crochet accessories like scarves and caps. 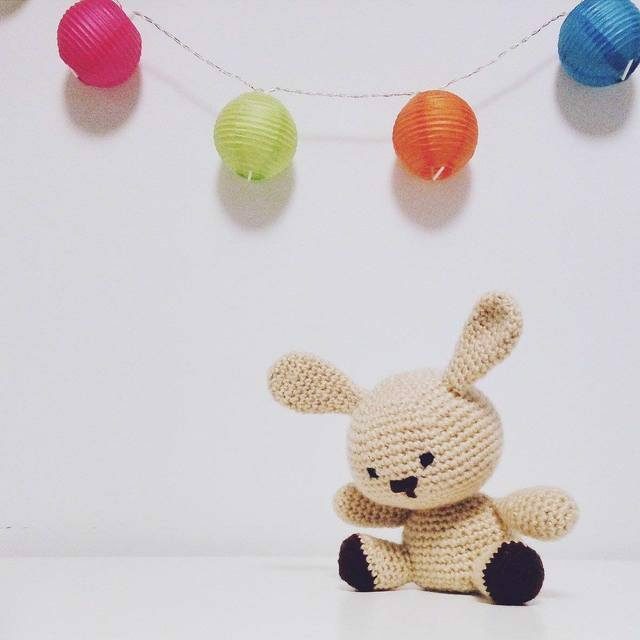 She is not able to make amigurumis, but someday I will be the one to teach her! One thing she doesn’t understand is how we are able to crochet with the hooks made from newer materials; she still only uses steel or aluminum hooks. That would be great if you ended up teaching amigurumi to your mom! 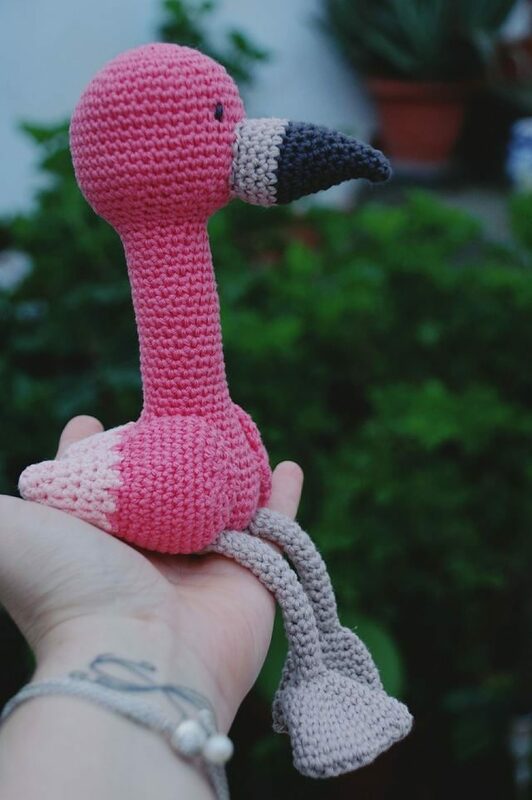 What do you like best about amigurumi? The world of amigurumi is so broad! There are so many things that you can do with it. I like to crochet dolls but it’s so much more than that. 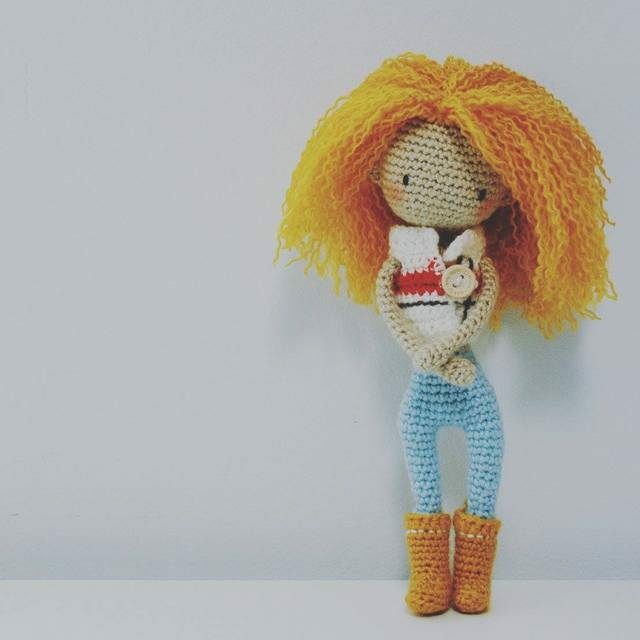 Amigurumi gives me the freedom to use my creativity and imagination in a way that is so fascinating! I love to observe photographs on Instagram and see how many versions of an item can come from the same pattern. Two people can create something totally different following the same steps! It’s amazing. 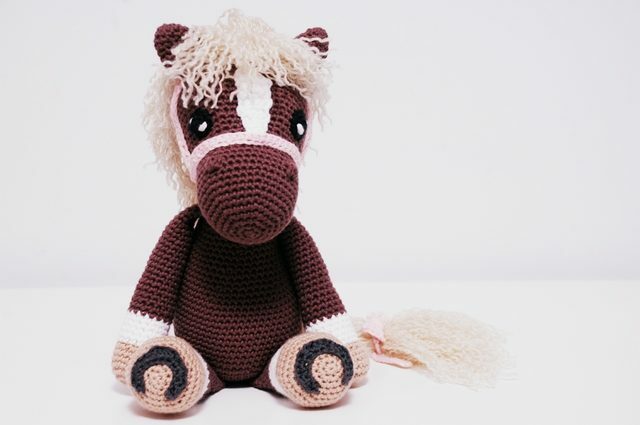 But what I like the most is to see how the inner child that we all carry inside awakens when we crochet amigurumi. At first you can believe that these creatures are intended only for children and babies, but in the end, adults fall in love with them, too. 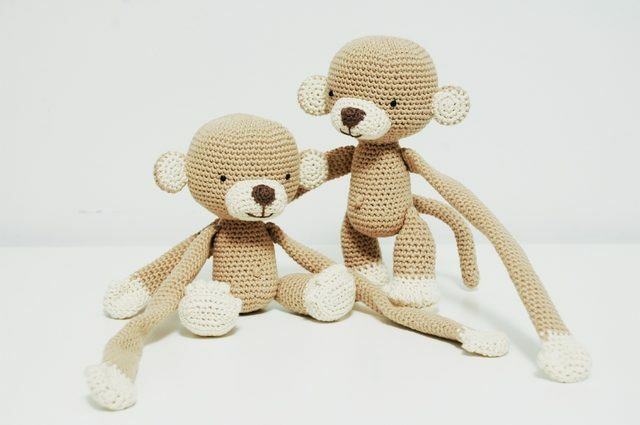 Do you think there’s a big difference between crocheting clothes / accessories and making amigurumi? Since I have not been crocheting for very long and my focus is on amigurumi, I really haven’t made much clothing. That said, I don’t think there is a lot of difference. The love of the craft is the same. We should enjoy what we are making, so I guess that part just depends on our personal tastes and the moment of life we find ourselves in. I really enjoy doing the amigurumi but they might be more laborious than some clothing. Although I did make a bag that required a much larger hook than what I use for amigurumi and that made my arms get tired more quickly so that was actually more laborious for me. It’s all about your own preferences. 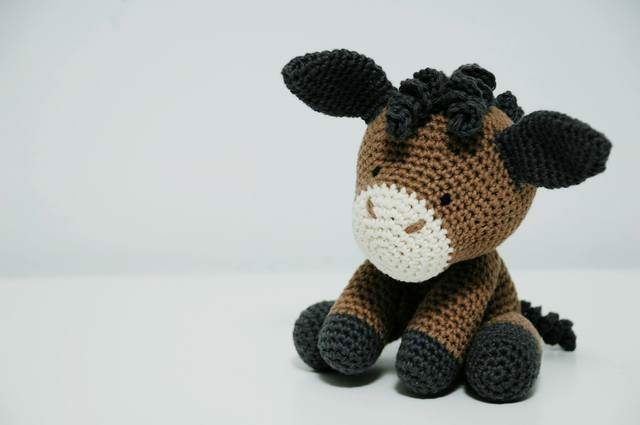 What is your favorite thing that you have crocheted so far? Until a little while ago, what I liked the most of everything that I’ve done was a personalized doll that I was commissioned to give on a birthday, The truth is that I did not have to do much, because the pattern (by Lydiawlc) that I followed was magnificent. However, it was the hair that made this doll something special. Everyone who saw it fell in love with it and so did I! Cotton, without a doubt. I use two types: the safran drops and drops you. At first I started by using acrylic wool, and that’s fine; the amigurumi dolls look pretty good, but they are not as perfect as with cotton. 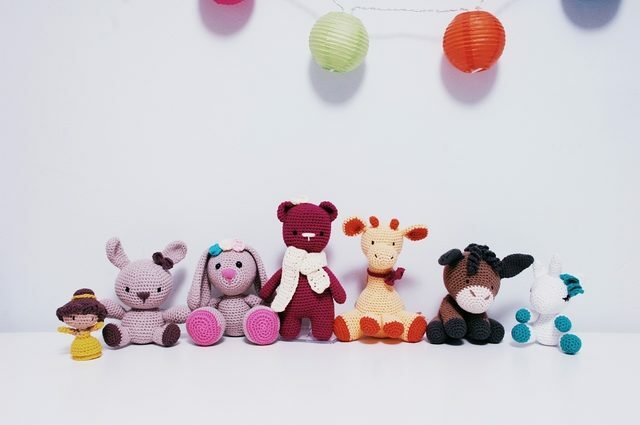 Plus, even though a lot of adults like amigurumi, they are often intended for children and cotton is better for children’s toys. How has crochet helped you in your life? Crochet is certainly a great therapy and it has helped me a lot. In these past years I have been through difficult family situations, and I have spent (and spend) many hours studying to be able to work as a teacher someday. This combination was very stressful and I needed to find something to relax; that’s why I started doing crochet. It’s amazing the benefits we can get when we craft. Tt makes us forget the problems we are having and it makes us feel good. Plus you meet wonderful people who like the same things as you, and you are able to make many people happy. What more could you want? Have you had many sales of your work? 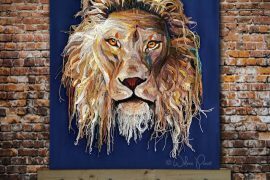 I’ve had a lot of sales, and I currently have quite a few jobs, but handiwork is hard to sell here. People do not value it. There are even people who believe that handmade items are excessively expensive and they gasp when you tell them the price. I think it’s changing. Nowadays, there are more people who truly do value items that are made by hand and will appreciate that work. 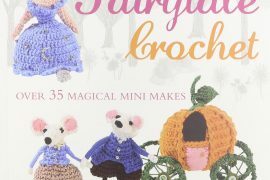 Any tips for people who want to sell their crochet? First of all, be patient. Don’t give away your work. At first it is very difficult to get payment for what you make but if you are persistent then it will happen. People might try to get you to lower the price but your work has value. I would start by making things for family members. Use social media a lot to show people what you have made.It is amazing everything that is achieved these days thanks to Instagram and Facebook. One last tip: enjoy what you do! If you do not like an order or you do not feel comfortable with it, don’t do it. This will only make you feel stressed! Great tips! What are some of the goals of your business? 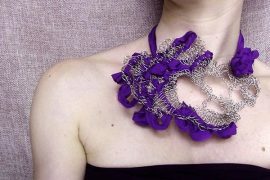 Nothing else, just encourage you to crochet, surely you will enjoy it a lot and you will meet many people. For those people who are not having a good time, recommending them to start, it is a very rewarding therapy! Thank you for giving me the opportunity Kathryn. I'm happy to be part of this family. Good day!! Thanks Kathryn for giving me the opportunity. I’m happy to be part of this family. Good day! !